The 2018 FIFA World Cup is well underway and you’re probably obsessively refreshing your favorite website to get all the latest fixtures and results. There are many users who are still watching live stream or checking updates on google or other sites. But What for Linux Football Fans?? Never fear: Open Source is here! As always Linux users never face sadness while using Linux. There will a some way they can also join or enjoy every moment. 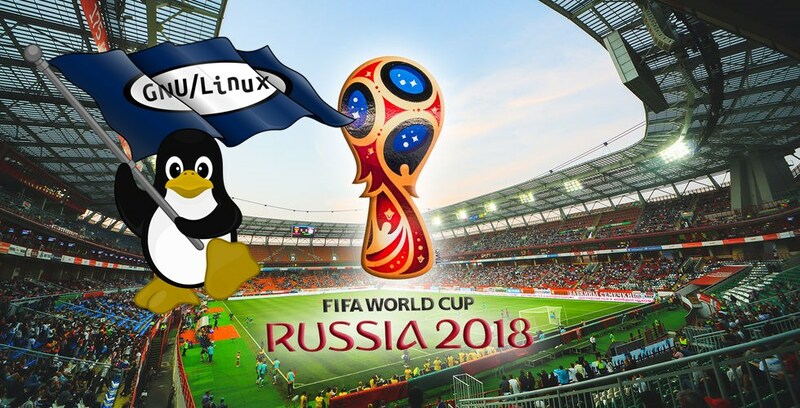 So same as for this FIFA World Cup 2018, Linux users can also enjoy all the match updates right from there Terminal. ⚽⚽ Yes, this is right. You can get all the updates from your terminal whitour leaving your system. Here I will show to Three ways by which you can get all the live updates of FIFA World Cup 2018, Team list, Score Table,and many more.. The utility offers commands that give scores of past and live fixtures, see upcoming and past fixtures of a league and team. It also displays standings of a particular league. 2. WC18-cli -: WC18-cli is another tool get all the updates of World Cup 2018 within your terminal. This is simple python based CLI tool, and much easier to use. With WC18-cli you will get all the latest updates about the matches of Word Cup 2018, countries details and also with group tables. Wc18-cli is available to install on Ubuntu, Linux Mint and other compatible systems using Python Pip. 3. Wowcup :- If you ask me, I would say this tool deserve this name. As like its name its works and results is also WOW.. This is my most favorite tool to get all the live updates of World Cup 2018. Wowcup lets you fetch the latest fixtures and standings. Its design is inspired by the CLI basketball app NBA Go. Later on You can pass the following coomand to get all the details of the World Cup 2018. So Guys hope like this post, and I recommend you to go with the 3rd option as wowcup provides live details of the matches. If you like our post or want to give a suggestion or like to point out other ways (which you are using) please comment below so that other can also know.